When Did LeBron James Know He Was The GOAT? LeBron James has more media platforms than barns got hay. He’s done projects like “Shut Up And Dribble” with Showtime and his show HBO’s "The Shop" has been inciting a great exchange of ideas between people of all races, creeds and colors. 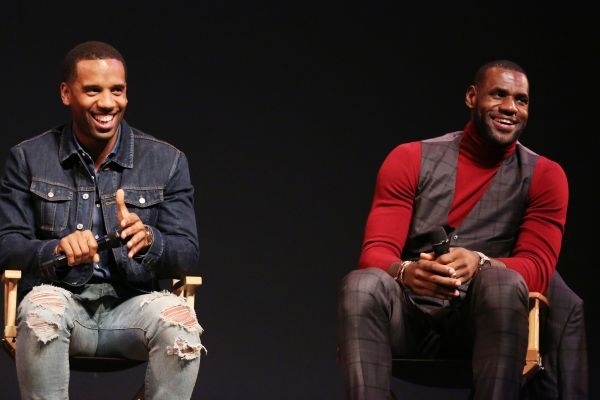 ESPN+ and UNINTERRUPTED, the award-winning digital media company founded by LeBron James and Maverick Carter, debuted a new original series, More Than An Athlete on November 20, exclusively on ESPN+ — the premium direct-to-consumer sports service from The Walt Disney Company’s Direct-to-Consumer and International (DTCI) segment and ESPN. In the newest episode of Uninterrupted More Than An Athlete,featuring LeBron James on ESPN+, The King breaks down his view on what being the GOAT is. More Than An Athlete is an eight-episode series that examines the various stages and moments of LeBron James’ journey from basketball prodigy to global sports icon, businessman and philanthropist through the lens of the unique bonds of friendship and partnership which forged between four men over more than two decades – James, Carter, Randy Mims and Rich Paul. More Than an Athlete is produced by UNINTERRUPTED in association with ESPN+ and executive produced by James, Carter, Mims and Paul. The first two episodes of the series were made available to subscribers of ESPN+ on Nov. 20, with new episodes posting regularly through Jan. 8.